Protect Your Seal, Shark Week Is Coming! Allow us to introduce ourselves. 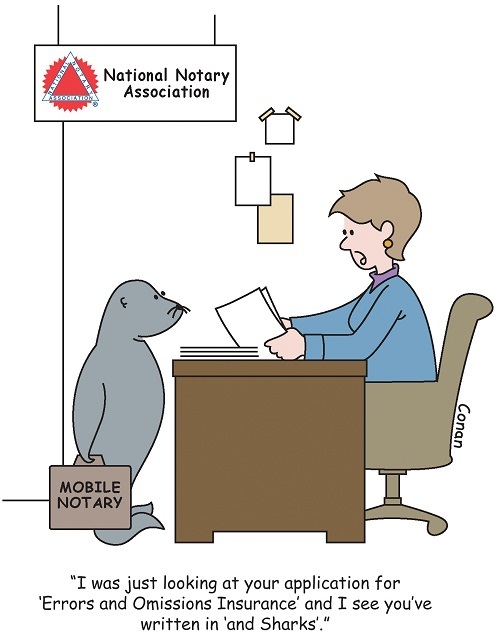 We’re Neil and Camille the Notary Seals! 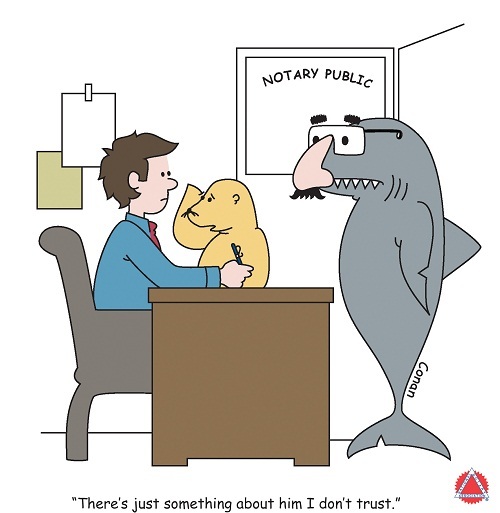 We are thrilled to be the official mascots of the National Notary Association! Lucky for you, we’ve cloned ourselves for your chance to win your very own Neil and Camille! 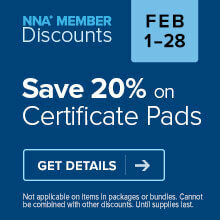 The NNA will be hosting daily giveaways on their Facebook page during Shark Week, August 11-15. Rules are simple. Every day a new photo of us will be posted. A quick ‘Like’ on the photo will get you entered into the #ProtectYourSeal sweepstakes. Ten winners will be selected at random and announced daily at 5:00 PM. Pacific Time. To find out if you’re one of the lucky winners, make sure to check back to see if your name is on the winners list below! Thanks Sherrylyn! 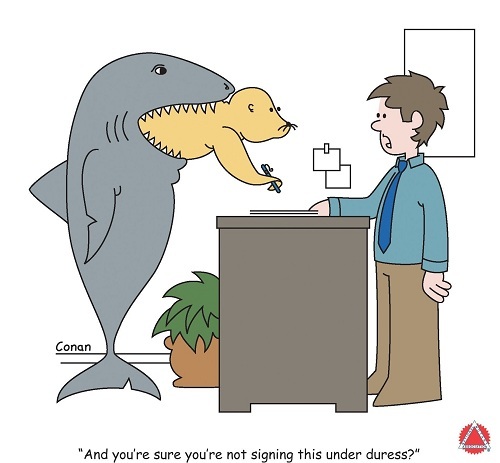 Don't forget to visit our Facebook page Monday-Friday next week and "like" our Shark Week cartoons to be officially entered in the giveaway. I like Neil and Camille! Keep off the hook by following all rules and regulations at all times! Watch our for the Sharks Neil and Camille. 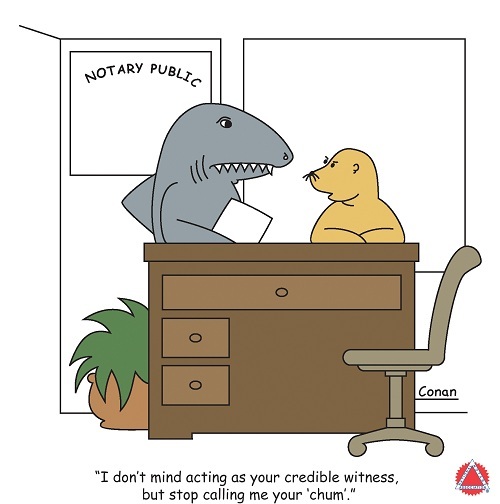 I have learned so much from "The Notary Bulletin". Thanks for keeping Public Notaries out of HOT WATER!! know where your seal is? I've been a member of NNA since the 1980s and have always been grateful for the education offered for notaries as well as your hotline to help us keep on the right path as notaries! I am new to the business. However, I think Neil and Camille are great. I am a traveling Notary, and keep my papers and journal locked in my car's trunk. If I'm traveling and get a call, I don't have to rush home to get them. However, I live in the desert and the temperatures in the summer can be over 115, so I carry my seal and ink pad in my purse so it doesn't dry out. I love Neil and Camille this is neat. I love being a Notary now that I'm cerified there is no end to making money and helping people who need important documents notarize. Thanks NNA. 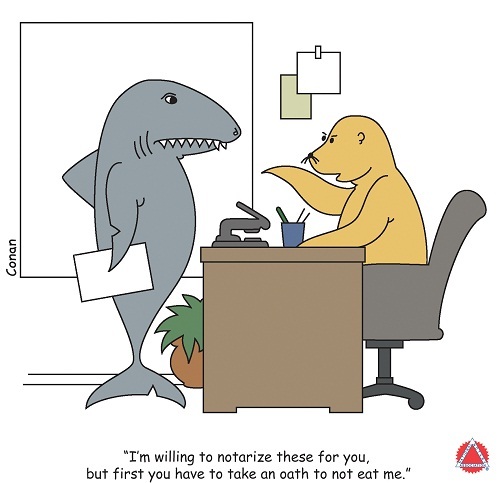 A very fun way to remind us to protect our "seals" and to conduct ourselves professionally. I love it! I'm love being a notary getting back into the business.